I went to college in a minuscule town in Western Maine. While school was in session it felt like there was a town of about 15k when school was not in session there were about 3000 people in the town. My school was wonderful with small classes and professors who knew your first name it was the place you wanted to go after going to high school in an even smaller town, a stepping stone toward more. But it was the town I was most enchanted with. There was a cafe where I worked for a brief period, there were the brick structures of campus covered in English Ivy, there was the river I rode a giant blowup dinosaur named Lottie down one summer day – meandering slowly on it’s way somewhere I never went (Mexico, ME maybe? ), and there was Soup For You. In my senior year of college I took most of my classes on Tuesdays and Thursdays, in class until 4:15 or so on Thursday and then later that evening from 6-9. So in that little interim period from 4-6 I always walked downtown to Soup For You, ordered one of the daily soups (there are always 6 – 3 vegetarian options and 3 omnivorous options) and a coffee and sat in a booth and read, or chatted with friends there. It was one of my favorite semesters, and I always hoped for this soup to be on the menu, especially on warm spring days. Maybe I loved Soup For You because it was charming – with hand painted tiles and quirky-ness everywhere, or because they knew that I loathed soup-spoons so always gave me one of the miniature ones they held behind the counter for little kids, but I think the biggest reason I loved it is that it was introduced to me by a community. That community was full of some of the strongest women I’ve ever met, and I am still close with several of them now. They were my coworkers in the Women’s and Gender Studies Center, a work study job that is by far the best job I’ve ever had. We held potlucks together, went to lunch, stayed well past or scheduled times just to hang out, published a literary journal called Ripple that focused on women in writing, we wrote poetry and we read. I associate this soup with those girls. My first day in the Women’s and Gender Studies Center saw me, terrified (as usual) meeting everyone and trooping around the grand (read 2 or 3 streets) downtown of our little college town when one of the girls piped up that there was Thai Peanut and Black Bean Chili and Soup for You and they probably still had Corn Muffins. So we stopped. We all ordered the same thing 8oz of the chili and a corn muffin, then we sat down. The warm spring sunshine on our backs and excited about our upcoming events and the new issue of Ripple. 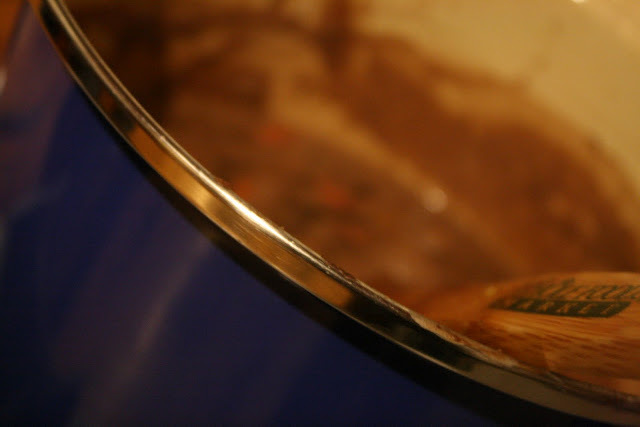 So this soup is camaraderie for me, it’s comfort somewhere new, and it’s friends and mentors. It’s my history. It’s also a Soup for You specialty and totally made the internet fail me. So this is as close an approximation as I can get. 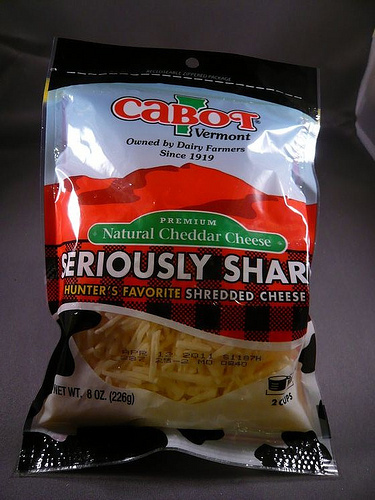 Eat it with friends and a corn muffin. Note: I love this soup and would eat it every day if I could. It’s also quite close to Soup For You’s version, which is so exciting to me, since I can’t find anything half as good in Boston. In a large pot heat the olive oil over medium heat. Add the onion, garlic, red pepper, carrot, and if you are using fresh ginger add that too and allow them to soften, stirring occasionally – this should take about 5 minutes. Add the coconut milk and the zests and stir to combine. Make sure you get everything in the pot evenly distributed throughout the coconut milk and allow the whole pot to come to a gentle simmer. Add the black beans and red pepper flakes then allow the pot to come back up to a simmer, allow it to simmer like this for 10-15 mins. Add the peanut butter and allow the chili to come to another simmer. If you think your chili is a little thin you can add more peanut butter, but that is up to you, regardless stir the peanut butter in well – it s the star flavor here. Add the dry roasted peanuts and let them cook for 10 minutes or so – you want them to be warm but still have crunch. Serve the chili with a corn muffin on the side and a sprinkling of cilantro on top. Don’t ever look back. Its vegan and delicious. Win. I love carmelized onions. I love the smell of them as they cook slowly in my kitchen and permeate my entire apartment with essence of onion. They are wonderful. 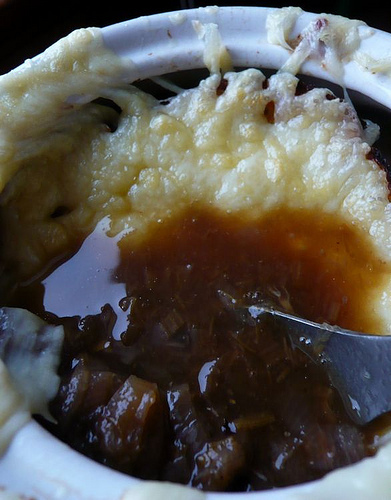 I have been trying on and off for the past couple of years to make French Onion Soup; sometimes with mediocre results, sometimes with decent results, but nothing had that ‘wow’ factor. 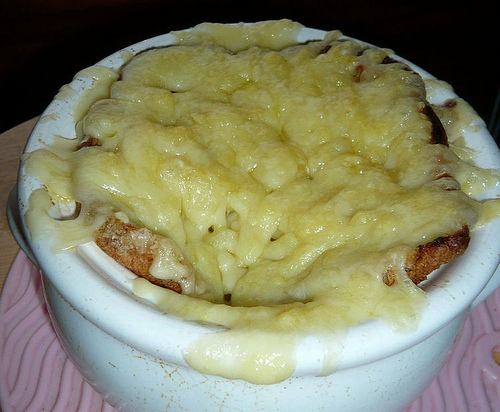 That experience of trying French Onion Soup for the first time; something rich, decadent, and smooth, paired perfectly with a good crusty bread and those browned cheese bits that should always crust up the edges of the bowl or crock. I stumbled across this recipe in the same Cook’s Illustrated: Soups and Stews issue that I found those heavenly drop biscuits. After such consistent bad/mediocre luck with this soup, I tried this new recipe, thinking at worst I would only waste a few onions; no harm no foul. It was perfect. Velvety and rich; I could have been back in the Paris cafe where I ate French Onion Soup and watched the square in front of me bustle in the late June evening. It was that good. This does take some time to make, but most of it involves babysitting the onions while they infuse everything around you with their scent. I made it on a cold day (actually it was the day before Boston Food Blogs officially launched) and again on our most recent snow day; it was a perfect winter warmer. I love that I can precook the onions the night before I want the soup cutting my preparation time down to an hour or so the next day. I also just love to watch that cheese bubble under the broiler. It’s so satisfying to pull out a perfectly browned and bubbly soup to serve a guest (or that boy that does really sweet things for you, like edit your blog posts). This soup is now a house favorite and given the choice, BF will choose it as the Kathy-cooks-all-day option for dinner (if I am letting him choose something I’m willing to cook all day that is). Also I think I may have converted my decidedly un-french-onion-soup-loving sister with this little wonder. Adapted from Cook’s Illustrated: Soups and Stews pretty heavily. I use red wine instead of sherry. Also, I use only chicken stock (more for convenience than any other reason) instead of their recommended beef and chicken combo. I just got a mandoline (and it was a super cheap one that isn’t terribly awesome) but it made the whole french onion soup process a lot less tedious, so splurge on yourself and get a mandoline, if nothing else than for onions. Preheat the oven to 325. Add the sliced onions to a heavy bottomed not non-stick (this is actually important) pot with the butter. I used my Le Crueset stock pot and it was perfect. Put the pot full of onions and butter into the oven, covered, and leave it alone for 45 mins or so (if you forget for a few minutes, that’s ok; this step is really forgiving). Pull the onions out of the oven and give them a quick stir; they should be starting to reduce in volume at this point and become translucent. Put the pot back in the oven with the cover on a bit of an angle to allow steam to escape. Leave it alone for another 30 minutes then pull it out and stir again; this time the onions should be starting to turn a nice golden brown. If you think they’re cooking too quickly go ahead and turn the oven down to 300 and if they are still just translucent (no golden color yet) go ahead and punch up the temp on your oven to 350. Continue to cook and stir your onions in this way until they are a deep brown without actually burning, it takes between 2 1/2 and 3 hrs depending on the oven (Note: If you are pre-baking, let the onions cool and put the carmelized onions in the fridge until you actually want to put the soup together). Once your onions are carmelized, put them on a medium burner on the stove top and allow them to build up a crust on the bottom of the pan (takes me 5-6 mins of stirring for this to happen without burning). De-glaze these good crusty bit by adding the wine and scraping at the bits gently with the back of a wooden spoon; they should come right off with the wine. Cook the wine down and get the brown onion crusty on the pan bottom again. This time de-glaze with water – about 1/2 cup. Perform the water deglaze another 2 times to really make sure you get the full flavor out of the onions. Add the stock and thyme to the deglazed onions and let it come to a simmer over medium-low heat. 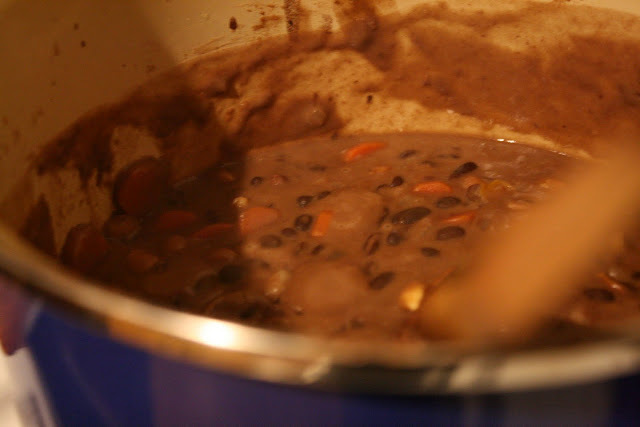 Keep this low simmer for 20-30 minutes so that all of the flavors have an oppurtunity to meld. Taste for salt and flavor; add salt if needed. Remove from the heat. I’ve been posting a lot of heavy recipes recently: breads (like this one and this one), cream soups (like this one), and cookies. And I know that it doesn’t make those New Year’s Resolutions that everyone is still trying to hold onto any easier, especially now that their shininess has worn off (my New Year’s resolution is to blog more, so far I have maintained my average of one post per week. Resolution fail). But this recipe should help to get you back on the “healthy eating” bandwagon with its lack of added fat, and if you make it with vegetarian stock, it’s vegan! 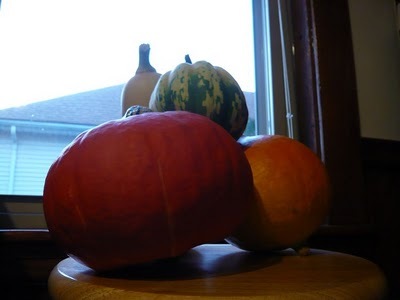 I like cold weather because it leaves me with an urge for soups, stews, and chili (so. much. chili.) which is great, BF loves all of these things – for the most part they fill us up quite well and are inexpensive, not to mention perfect snuggle-up eats. Winter in New England always makes me wonder what it would be like to be a hermit permanantly; cozying up to my stove for the better part of the day and whiling away my evenings watching tv/playing video games with BF. Wouldn’t that be the life? Instead, I work a day job and have to fight icy sidewalks when I walk to and from work every day hoping that today isn’t going to be the day I have to walk to work in a blizzard (which has happened twice so far this winter). This chili is an ode to staying warm after walking in a snowstorm to get in the door and collapse relieved on the floor in a puddle of snow boots and wet coats. This is the reason I am excited to go home and eat. There aren’t any pictures for this post (not from lack of trying mind you). I’ve made this chili twice in the past two weeks and each time have been so excited about eating it I forgot to take pictures. So there you go. It’s kind of unpretty colors anyway, so no loss! But it’s delicious, hearty and warming without any of that eating-lots-of-butter guilt; also it’s lentils so it’s filling and fast! Note: The WF version of this soup is vegetarian and wonderfully healthy, but I thought it was pretty bland so I added a bunch of extra spices (see below). Also, if your stock is not homemade it may be pretty salty already so taste your chili before adding salt. 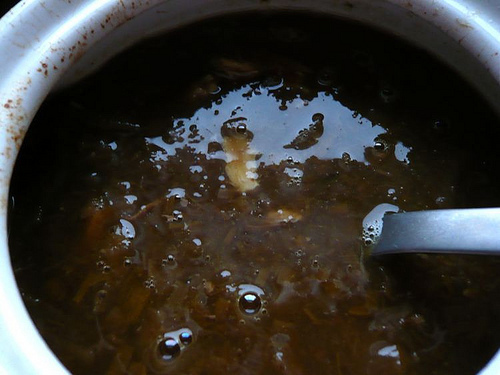 Bring 1 cup of stock or broth to a boil over medium-high heat and add the onions and garlic. Cook them in the broth until the onions are translucent; about 3 minutes. Add the red pepper and cook it until tender, another minute or so. Add the cans of tomatoes, the rest of the broth, and the spices (chili powder, cumin, and worcestershire sauce) and bring the whole pot to a low boil (another 5-7 minutes), stirring occasionally so the vegetables don’t stick. 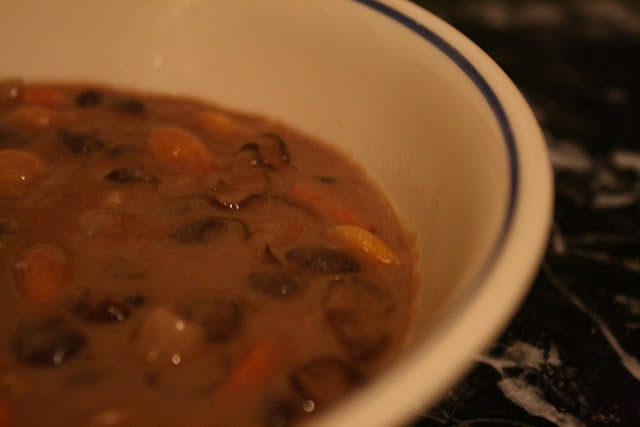 Once your broth has reached a steady boil, add the lentils, stir to incorporate, and cover the pot. Turn the heat down to medium low or low and simmer the whole thing, stirring about three times until the lentils are tender and plumped up (20-25 mins). Try the chili now; if it needs some salt add a couple dashes of soy sauce or 1/4 tsp of salt. If you need salt allow the soup to simmer for another 5-10 mins for the flavors to merge. If you didn’t add salt take the chili off the heat. Serve this chili topped with great gobs of sour cream, a sprinkling of chopped cilantro (if you like it), and some grated cheddar cheese. 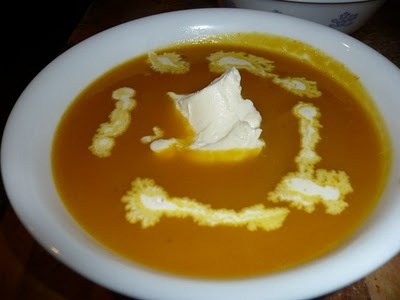 It is happy in a bowl. Real life. Also, this dish is marvelously low-fat; well, that is, if you use low fat sour cream and cheese (though I never get low fat anything!). I love cheese. I love to eat anything with substantial amounts of cheese in it. This soup is no exception to that rule. It’s like mac and cheese, but without any of that finicky mac in the way ;). As a child I remember being obsessed with the Cup-a-Soup Broccoli-Cheddar soup and at one point, within the past couple of years, I finally got to try it, to great dissatisfaction – this was one of the things I wanted out of this soup; that sense of perfect creamy-cheesy-perfection that comes with trying a cheese soup for the first time. I recently talked about my current love of soups, stews, anything hearty I can cook in a pot and have excess leftovers from; this was one of those soups. It’s rich and creamy in all the right ways. I made it when it was especially cold and icky outside, rainy and gross right at the end of November and BF loved it. It warmed and filled us up. It was rich and thick – a perfect accompaniment to Pie Pan Focaccia Bread. When I ate this soup as a child, from that little foil lined Cup-a-Soup packet, I thought it would be impossible to make, but as I finally got around to reading a recipe (Cabot Coop twitter feed was great for inspiration), I realized just how simple it was. 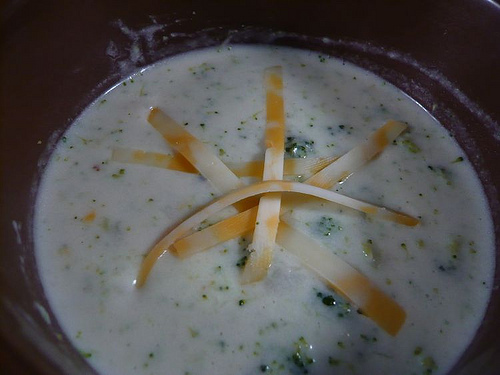 A roux, some milk, stock, broccoli and cheese and there was magic, in the form of broccoli cheddar soup. Bliss. Note: I recommend a sharp cheddar, but nothing that will overshadow the broccoli, or else the broccoli loses some of it’s sweetness. Also, I’m sure you could use low fat milk here, I just don’t because I prefer everything to threaten me with a coronary. Melt the butter in a large sauce pan and add the flour (make a roux). Whisk the butter and flour together until they are fully blended (about 30 seconds). Gradually add the stock until it and the roux are fully combined; this should take a minute or two. 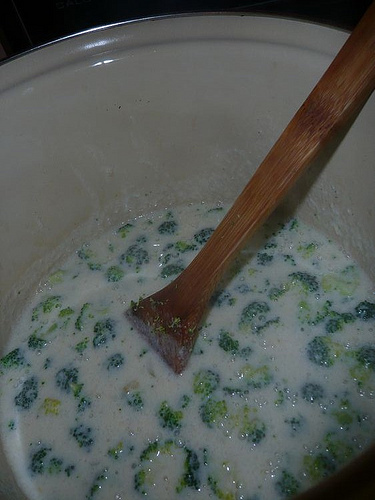 Add the broccoli and the milk. 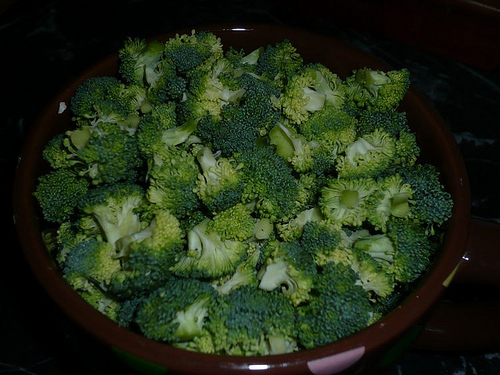 Let the whole mixture come to a simmer and leave it there for 10-15 mins, until the broccoli is tender. Add the cheese and stir, letting it melt and thicken the soup. 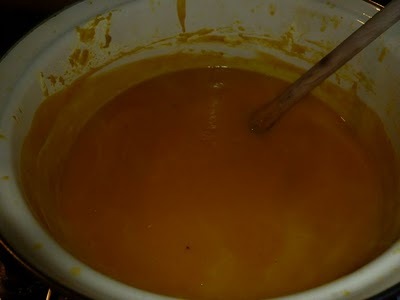 Using an immersion blender, regular blender, or food processor, puree one quarter of the soup (or more if you want it silky smooth and lush). 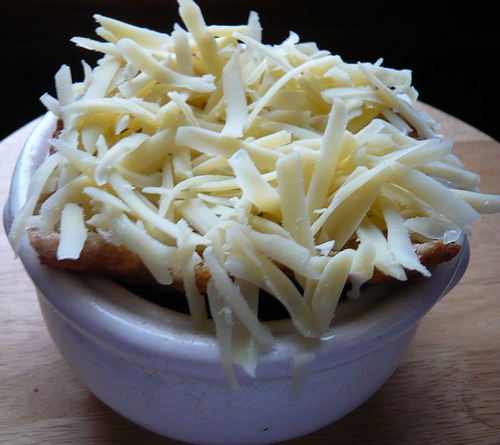 Serve immediately with grated cheese sprinkled on top.